Canada's big three telecoms are likely cheering news that Verizon may be getting cold feet about coming to Canada. According to a report at the Globe and Mail, Verizon has decided to delay any decision about buying one or more of Canada's small wireless players until after a spectrum auction in January. Instead, the company will focus on deciding whether to participate in the spectrum auction itself, the Globe reported. It has until September 17 to place a bid. The news comes in the midst of a heated war of words between the Harper government and the big three telecoms, who have launched a campaign to keep Verizon from coming to Canada under favourable rules meant for new wireless entrants. Industry Minister James Moore this week slammed Bell, Rogers and Telus for what he described as a "dishonest" and "misleading" campaign. But the government's public support of new wireless entrants wasn't enough to keep Verizon from backing away from a purchase of one of Canada's wireless carriers. Verizon had reportedly placed a $700-million offer for Wind Mobile earlier this summer, and had signed a non-disclosure agreement with Mobilicity. 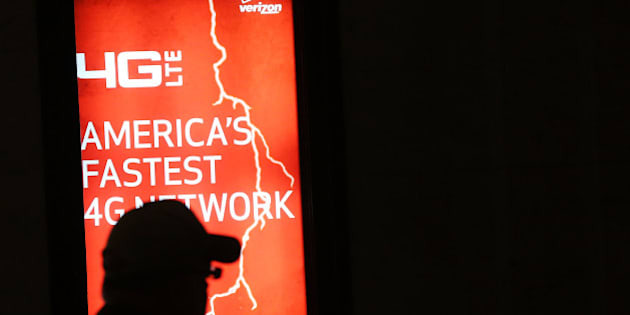 The Globe reports those buyouts may still be on the table, but Verizon may be waiting to see how much spectrum it wins before deciding whether to go ahead with the purchases. In a note to investors Wednesday night, Canaccord Genuity research head Dvai Ghose said Verizon may be getting cold feet about Canada -- or this may simply be a tactical move, designed to wait out the conflict between the government and the big three telecoms. If the government backs down on the rules favouring new entrants, Verizon would likely lose interest in Canada. The Globe speculates the U.S. wireless carrier may actually be trying to extract even more regulatory favours from the government. The paper reported earlier this week that Verizon made moves into the Canadian market only after a meeting with high-ranking government officials in May. Verizon may also be trying to drive down the selling price of Canada's small wireless players, Canaccord's Ghose suggested. Tech analyst Carmi Levy told the Toronto Star he doubts Verizon is backing out of Canada.